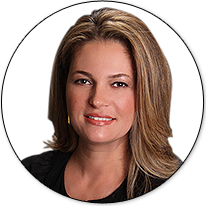 Orna Berkowitz is a results-driven residential real estate advisor, who specializes in South Florida’s most desirable family-friendly neighborhoods. Armed with knowledge and skills gained from an extensive career in the real estate industry, that started in 2002, and included commercial and residential lending, title services, marketing and sales, Orna is positioned to offer her clients the perspective that many other realtors do not have. So what are some of the advantages you will have, working with Orna? First, as a parent herself, Orna understands the needs and wishes of other parents who want to raise children in the ideal setting for their own families. 2nd, as a former banker, whose main job was to assess risk, Orna is well positioned to help clients assess whether or not a particular property or market is the right fit for them, from an investment perspective. 3rd, the marketing know-how is coming handy particularly with crafting effective home selling strategies that yield record-breaking results. More than skills and knowledge, as a client, always expect that your best interest will be Orna’s first priority and that she will be “all in” whether you are a $300K buyer or a $1M seller. Orna believes that real estate is a relationship business and not simply transactional. It is extremely important for Orna to exceed expectation and become her clients’ “go to” source of all things real estate, for years to come.